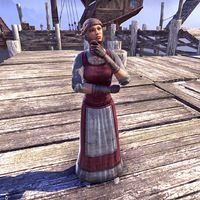 Abradih is a Redguard merchant found at the Dockyards of Davon's Watch. She has no unique dialogue. This page was last modified on 22 November 2017, at 22:53.